Mouse anti Human CLIC1 antibody recognizes the chloride intracellular channel 1, also known as RNCC protein, chloride channel ABP or nuclear chloride ion channel 27. Chloride channels are a diverse group of proteins that regulate fundamental cellular processes including stabilization of cell membrane potential, transepithelial transport, maintenance of intracellular pH, and regulation of cell volume. Chloride intracellular channel 1 is a member of the p64 family; the protein localizes principally to the cell nucleus and exhibits both nuclear and plasma membrane chloride ion channel activity (provided by RefSeq, Jul 2008). 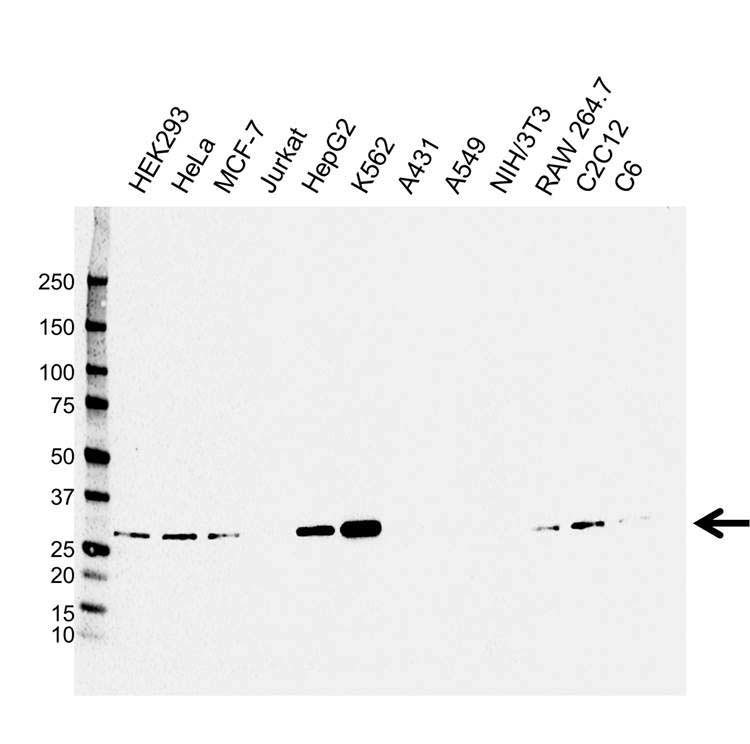 Mouse anti Human CLIC1 antibody detects a band of 27 kDa. The antibody has been extensively validated for western blotting using whole cell lysates.